Thomas F. Mulledy (August 12, 1794 – July 20, 1860), occasionally spelled Mullady, [lower-alpha 1] was an American Catholic priest from Virginia. He entered the Society of Jesus and was educated for the priesthood in Rome. He went on to become twice the President of Georgetown College in Washington, D.C. He also served as provincial superior of the Maryland province of the Jesuit order, during which time he orchestrated the sale of the province's slaves to settle its debts. This resulted in severe censure by the church authorities and his temporary exile from the United States. Following his return from Europe, he served as the first President of the College of the Holy Cross and oversaw its establishment, including the construction of its first building. The Society of Jesus is a scholarly religious congregation of the Catholic Church for men which originated in sixteenth-century Spain. The members are called Jesuits. The society is engaged in evangelization and apostolic ministry in 112 nations. Jesuits work in education, intellectual research, and cultural pursuits. Jesuits also give retreats, minister in hospitals and parishes, sponsor direct social ministries, and promote ecumenical dialogue. 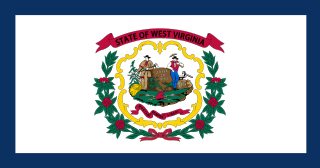 West Virginia is a state located in the Appalachian region in the Southern United States and is also considered to be a part of the Middle Atlantic States. It is bordered by Pennsylvania to the north, Maryland to the east and northeast, Virginia to the southeast, Kentucky to the southwest, and Ohio to the northwest. West Virginia is the 41st largest state by area, and is ranked 38th in population. The capital and largest city is Charleston. Romney Academy was an educational institution for higher learning in Romney, Virginia. 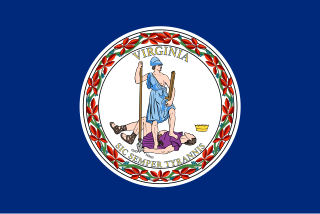 Romney Academy was first incorporated by the Virginia General Assembly on January 11, 1814, and was active until 1846 when it was reorganized as the Romney Classical Institute. In addition to the Romney Classical Institute, Romney Academy was also a forerunner institution to Potomac Seminary. Romney Academy was one of the earliest institutions for higher learning within the present boundaries of the state of West Virginia. Charles Constantine Pise, SJ, (1801–1866) was a Roman Catholic priest and writer. James A. Ryder was an American Catholic priest and member of the Society of Jesus. While serving in a number of different teaching and administrative positions at Georgetown University, he founded the Philodemic Society and served as its first president. Ultimately, he was appointed President of Georgetown University in 1840, while simultaneously occupying the office of provincial superior of the Maryland province of Jesuits; he later served as the school's president a second time. During his presidencies, the Georgetown Astronomical Observatory was established, the School of Medicine was established as a component of the university, and Congress officially incorporated the President and Directors of Georgetown College. In the interim, Ryder was made the second President of the College of the Holy Cross in 1845, where he undertook a building project. In his later years, Ryder went to Philadelphia, where he assisted with the founding of Saint Joseph's College and became its second president. Throughout his life, Ryder was known for his oratorical skills, and he utilized them in his preaching and in traveling throughout the country to raise money for Catholic colleges. The President of Georgetown University is the chief executive officer of Georgetown University. He is ex officio one of the five members of the President and Directors of Georgetown College, the legal entity in which the university is incorporated. The president is also a member ex officio of the university's board of directors, which is responsible under the university's bylaws for managing the "property and business" and other functions of the university. The president is one of four officers of the university explicitly created by the school's charter, alongside the provost, secretary, and treasurer; the holder of the office is elected by the board of directors and may be removed by a majority vote of the whole board. The Ratio atque Institutio Studiorum Societatis Iesu, often abbreviated as Ratio Studiorum, was a document that standardized the globally influential system of Jesuit education in 1599. It was a collection of regulations for school officials and teachers. The Ratio Studiorum relied on the classical subjects and did not contain any provisions for elementary education. The document was revised in 1832, still built upon the classical subjects but giving more attention to the study of native languages of the students, history, geography, mathematics, and the natural sciences. May devotions to the Blessed Virgin Mary refer to special Marian devotions held in the Catholic Church during the month of May honoring the Virgin Mary as "the Queen of May". These services may take place inside or outside. A "May Crowning" is a traditional Roman Catholic ritual that occurs in the month of May. A refectory is a dining room, especially in monasteries, boarding schools, and academic institutions. One of the places the term is most often used today is in graduate seminaries. 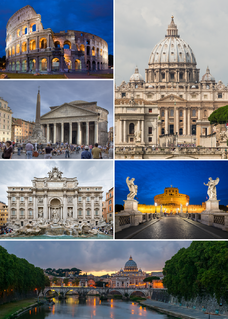 It derives from the Latin reficere "to remake or restore," via Late Latin refectorium, which means "a place one goes to be restored". Stephen Decatur Jr. was a United States naval officer and commodore. He was born on the eastern shore of Maryland in Worcester County, the son of a U.S. naval officer who served during the American Revolution. 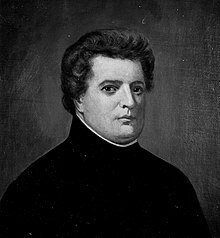 His father, Stephen Decatur Sr., was a commodore in the U.S. Navy, and brought the younger Stephen into the world of ships and sailing early on. Shortly after attending college, Decatur followed in his father's footsteps and joined the U.S. Navy at the age of nineteen as a midshipman. A religious brother is a member of a Christian religious institute or religious order who commits himself to following Christ in consecrated life of the Church, usually by the vows of poverty, chastity and obedience. He is a layman, in the sense of not being ordained as a deacon or priest, and usually lives in a religious community and works in a ministry appropriate to his capabilities. A brother might practice any secular occupation. The term "brother" is used as he is expected to be as a brother to others. Brothers are members of a variety of religious communities, which may be contemplative, monastic, or apostolic in character. Some religious institutes are composed only of brothers; others are so-called "mixed" communities that are made up of brothers and clerics. The United States Capitol, often called the Capitol Building, is the home of the United States Congress and the seat of the legislative branch of the U.S. federal government. It is located on Capitol Hill at the eastern end of the National Mall in Washington, D.C. Though no longer at the geographic center of the Federal District, the Capitol forms the origin point for the District's street-numbering system and the District's four quadrants. Pope Gregory XVI, born Bartolomeo Alberto Cappellari, was head of the Catholic Church and ruler of the Papal States from 2 February 1831 to his death in 1846. He had adopted the name Mauro upon entering the religious order of the Camaldolese. An ecclesiastical university is a special type of higher education school recognised by the Canon law of the Catholic Church. It is one of two types of universities recognised, the other type being the Catholic university. 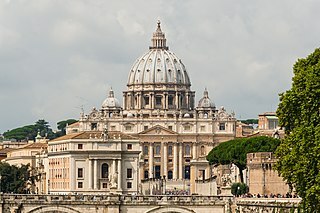 Every single ecclesiastical university is a pontifical university, while only a few Catholic universities are pontifical. The College of the Holy Cross or better known simply as Holy Cross is a private Jesuit liberal arts college in Worcester, Massachusetts. Founded in 1843, Holy Cross is the oldest Catholic college in New England and one of the oldest in the United States. Benedict Joseph Fenwick was an American bishop of the Catholic Church. A Jesuit, he served as Bishop of Boston from 1825 until his death in 1846. Holy Trinity Catholic Church is a Catholic church located in the Georgetown neighborhood of Washington, D.C., in the United States. Holy Trinity Parish was founded by the Jesuits in 1787 and is the oldest Roman Catholic community and house of worship in continuous operation in both Georgetown and the larger city of Washington, D.C. The original church building was completed in 1794; it now called the Chapel of St. Ignatius, is used for smaller ecclesiastical celebrations and as an auxiliary space for parish activities. A larger Church building, necessitated by the growing community, was dedicated in 1851, and still serves as the parish Church today. Francis Ignatius Neale was an American Roman Catholic priest of the Jesuit Order who became President of Georgetown College on two occasions and who was a leader of the Jesuit Mission in America. Georgetown College, infrequently Georgetown College of Arts and Sciences, is the oldest school within Georgetown University in Washington, D.C. The College is the largest undergraduate school at Georgetown, and until the founding of the School of Medicine in 1850, was the only higher education division of the university. In 1821, the school granted its first graduate degrees, though the graduate portion has since been separated as the Georgetown University Graduate School of Arts and Sciences. In 1838, 272 men, women, and children were sold by the Maryland Jesuits; a portion of the proceeds was used to pay the debts of Georgetown College, also run by the Jesuits. The enslaved people had lived on plantations belonging to the Jesuits in Maryland, and they were sold to Henry Johnson and Jesse Batey. $17,000 from the sale was used for the Georgetown College debts. Adam Marshall was an American Catholic priest and Jesuit. He briefly served as president of Washington Seminary, and later became the first Catholic chaplain in the United States Navy, albeit unofficially. Bernard A. Maguire was a Catholic priest and member of the Society of Jesus. He served two terms as President of Georgetown College. James Aloysius Doonan was an American Catholic priest and a Jesuit. He served as the president of Georgetown University from 1882 to 1888, during which time he oversaw the completion and naming of Gaston Hall and construction of a new building for the School of Medicine; he also acquired the two cannons in front of Healy Hall. He was a financially successful president as well, having reduced the university's burdensome debt that had accrued during the construction of Healy Hall. He spent his later years teaching and ministering at Boston College and Saint Joseph's College in Philadelphia, as well as at St. Francis Xavier College in New York and at the Catholic Summer School of America. Anthony F. Ciampi was an Italian-American priest of the Catholic Church and member of the Society of Jesus. Joseph Havens Richards was a Roman Catholic priest and member of the Society of Jesus. John William Beschter was a Catholic priest and Jesuit from the Duchy of Luxembourg in the Austrian Netherlands, who immigrated to the United States as a missionary, where he ministered in rural Pennsylvania and Maryland. He was the last Jesuit pastor of St. Mary's Church in Lancaster, as well as the pastor of St. John the Evangelist Church in Baltimore, in addition to being a priest at several other German-speaking churches in Pennsylvania. His ministerial work was punctuated by a time as master of novices at the new Jesuit novitiate in White Marsh, Maryland, as well as a brief term as President of Georgetown University in 1829. While in Maryland, he aligned himself with the Continental European Jesuits in the United States, who endorsed a monarchist view of ecclesiastical leadership. Following the end of his presidency, he remained at Georgetown for a year as a professor of German, before returning to Paradise, Pennsylvania, where he lived out the last twelve years of his life as a priest. ↑ Carswell, Simon (September 3, 2016). "Georgetown college atones for past ties to slavery". The Irish Times . Archived from the original on September 4, 2016. Retrieved December 1, 2018. 1 2 "Rev. Thomas F. Mulledy, S.J." College of the Holy Cross. Archived from the original on August 23, 2016. Retrieved December 1, 2018. 1 2 3 "History Q & A: What We Know". College of the Holy Cross. Archived from the original on December 1, 2018. Retrieved December 1, 2018. ↑ "Thomas F. Mulledy, S.J., President of Georgetown, 1829-1838, 1845-1848". Georgetown University Library. Archived from the original on December 1, 2018. Retrieved December 1, 2018. ↑ "Archdiocese of New York". Catholic Online. Archived from the original on September 2, 2017. Retrieved December 3, 2018. ↑ Swarns, Rachel L. (April 16, 2016). "272 Slaves Were Sold to Save Georgetown. What Does It Owe Their Descendants?". The New York Times . Archived from the original on April 17, 2016. Retrieved December 1, 2018. ↑ The Mulledy/Healy Legacy Committee (March 18, 2016). "What We Know: Report to the President of The College of The Holy Cross" (PDF). College of the Holy Cross. Archived (PDF) from the original on December 3, 2018. Retrieved December 3, 2018. ↑ "Articles of agreement between Thomas F. Mulledy, of Georgetown, District of Columbia, of one part, and Jesse Beatty and Henry Johnson, of the State of Louisiana, of the other part". Georgetown Slavery Archive. June 19, 1838. Archived from the original on February 3, 2018. Retrieved December 1, 2018. 1 2 3 "Holy Cross: 1843–1899". College of the Holy Cross. Archived from the original on December 2, 2018. Retrieved December 2, 2018. ↑ "Fenwick Hall 2". College of the Holy Cross. Archived from the original on December 3, 2018. Retrieved December 3, 2018. ↑ "Past Presidents". College of the Holy Cross. Archived from the original on September 25, 2017. Retrieved December 2, 2018. ↑ Burgoa, Lisa (August 8, 2018). "Human Remains Found During Construction of Arrupe Hall". The Hoya . Archived from the original on August 8, 2018. Retrieved December 2, 2018. ↑ Scoville, Ian (March 24, 2017). "University to Rename Freedom Hall". The Hoya . Archived from the original on March 28, 2017. Retrieved December 2, 2018. ↑ "Buildings- Mulledy". College of the Holy Cross. Archived from the original on December 3, 2018. Retrieved December 3, 2018. ↑ Boroughs, Philip L. (June 16, 2016). "President's Response to Report of the Mulledy/Healy Legacy Committee". College of the Holy Cross. Archived from the original on June 17, 2016. Retrieved December 2, 2018. Carrier, Thomas J. (1999). Historic Georgetown: A Walking Tour. Charleston, South Carolina: Arcadia Publishing. ISBN 9780738502397. Archived from the original on December 2, 2018. Retrieved December 2, 2018– via Google Books. Curran, Robert Emmett (1993). The Bicentennial History of Georgetown University: From academy to university, 1789-1889. 1. Washington, D.C.: Georgetown University Press. ISBN 9780878404858. Archived from the original on December 2, 2018. Retrieved December 1, 2018– via Google Books. Curran, Robert Emmett (2012). Shaping American Catholicism: Maryland and New York, 1805-1915. Washington, D.C.: Catholic University of America Press. ISBN 9780813219677. Archived from the original on December 3, 2018. Retrieved December 3, 2018– via Google Books. Kuzniewski, Anthony J. (1999). Thy Honored Name: A History of the College of the Holy Cross, 1843-1994. Washington, D.C.: Catholic University of America Press. ISBN 9780813209111. Archived from the original on December 2, 2018. Retrieved December 1, 2018– via Google Books. Lewis, Virgil Anson (1887). History of West Virginia. 2. Philadelphia: Hubbard Brothers. OCLC 7052494212. Archived from the original on December 3, 2018. Retrieved December 3, 2018– via Google Books. Maxwell, Hu; Swisher, Howard Llewellyn (1897). History of Hampshire County, West Virginia: From Its Earliest Settlement to the Present. Morgantown, West Virginia: A. Brown Boughner. OCLC 5692696219. Archived from the original on December 3, 2018. Retrieved December 3, 2018– via Google Books. McLaughlin, J. Fairfax (October 1887). "Father George Fenwick, S.J." United States Catholic Historical Magazine. 1. Archived from the original on December 2, 2018. Retrieved December 1, 2018– via Google Books. Reed, Stuart F. (1914). "The Virility of West Virginia's Men". The National Magazine. 39: 470–475. Archived from the original on December 3, 2018. Retrieved December 3, 2018– via Google Books. Shea, John Gilmary (1891). "Chapter XVI: Father Thomas F. Mulledy". Memorial of the First Century of Georgetown College, D.C.: Comprising a History of Georgetown University. 3. Washington, D.C.: P. F. Collier. pp. 90–117, 154–162. OCLC 960066298. Archived from the original on December 1, 2018. Retrieved December 1, 2018– via Google Books. Wikimedia Commons has media related to Thomas F. Mulledy .